James W. Hood, Co-CEO of Facing Addiction with NCADD (National Council on Alcoholism and Drug Dependence), a non-profit, discusses the recently launched “Addiction Resource Hub,” a non-profit resource to help patients and families to get reliable information online about addiction and how to deal with it. More information here http://ultracaresupport.com. Guest Bio: Jim has had a distinguished career, with an emphasis on helping companies identify and implement strategies for significant growth. He has more than three decades of experience in general management, business strategy, marketing, finance, consulting, private investing and as an entrepreneur. Since the death of his son, Austin, from drug-related causes in October 2012, Jim has devoted all his time helping to forge a national organization, Facing Addiction, to serve as “the American Cancer Society of the addiction space.” Facing Addiction launched with a history-making event on the National Mall on October 4, 2015. In January 2018 Facing Addiction merged with NCADD. The resulting organization, Facing Addiction with NCADD, is now recognized as the leading voice in the effort to end addiction in our country. Jim serves as Co-CEO of Facing Addiction with NCADD. Neal Howard: Hello and welcome to the program. I’m your host, Neal Howard. Thank you for joining us here on Health Professional Radio. Now, it’s likely that you or someone close to you, you know someone who struggles with alcohol and drug addiction. With nearly 21 million people currently suffering and more than 23 million people living in long-term recovery addiction to alcohol and other drugs impacts one in every three households here in America. 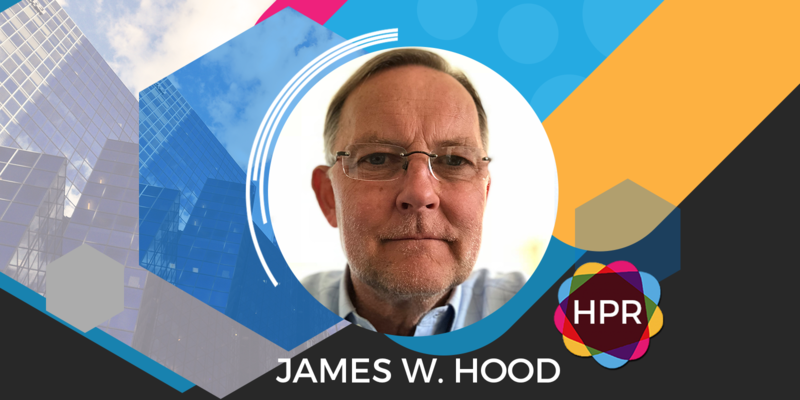 Our guest today is Mr. James Hood. He’s CEO of Facing Addiction and he’s going to talk with us about a recently launched addiction resource hub. Welcome to the program, James. How are you? James Hood: Neal, thank you very much. I’m pretty good and I hope you are as well. I appreciate the opportunity to be on the air and I will tell you this is a very important subject to me. I lost my oldest son, my beautiful boy Austin to this damn thing five years ago and it simply means I understand what this does to families all across the country every four minutes. Every four minutes we lose somebody’s son or daughter to this thing and we’re here to put a stop to it. N: What is it that defines an addiction? How does one know when he or she or someone else is actually addicted to a substance? J: That’s such an interesting question. It’s two parts. The answer is, it is a chronic relapsing brain disease which simply means it is an illness, not a moral failing. You’re not weak. It’s an illness but it’s chronic. Once you become addicted, you certainly can be treated and you can get into recovery but it is chronic. It’s never gone forever. Your other question about how does somebody know when their loved ones are addicted can be really elusive because it can be hard to spot. People are good at denying it themselves. Frankly, people are good about lying, about “No. I don’t really have a problem. It’s not as bad as you think.” So it falls for loved ones, Neal, to really do everything they can. If you suspect there’s a problem that probably is and you’ve got to help that person with all of your heart and all of your will. N: Is there any distinction between the effects of addiction to illegal drugs and legal drugs? We’re hearing about two epidemics the addiction overall and opioids specifically. Most opioids are prescribed. Is there any distinction between the treatment and the recovery effort? J: Well, it’s a really smart question, Neal. I’m not a doctor and it would get into a very long answer but there are certainly different treatment, different protocols that seem to be more effective. If a person’s addicted to alcohol versus prescription drugs versus heroin but broadly speaking, they are all addiction and the problem is getting worse and as you said, it impacts one in three households in America and we’ve neglected this problem in America far too long. N: Now, Facing Addiction and the NCADD, they’ve created this addiction resource hub. Is this something that is being improved upon as far as resources when it comes to addiction? We’ve been hearing about recovery and recovery programs for many many years now. J: Yes, it’s a new resource, Neal. It’s free. People can use it online. You get to it by resources.facingaddiction.org and if you were to go there it, I can just tell you briefly from the journey with my boy Austin. It is really hard to get reliable information when you or a loved one are struggling with addiction. Most of us aren’t experts at this thing. We don’t know what to do, where to turn and a problem is if you go online and search, a lot of the information that comes up is not accurate. Some of it is downright deceptive. Some of it can literally kill a person. So you create a resource like we did and it’s user-friendly. You go online, a big map pops up, you put in your zip code because you probably want resources close to you, it makes sense. You say, “I’m looking for information about prevention because I think I’m concerned my child could have a problem or intervention or treatment or recovery or housing or goes on and on. “ I think there are 11 choices and we’ll keep adding to it and then the map lights up and there’ll be 2 or 300 resources rather near you and then you can click on them and get more information about ours and what they offer and what do you think it’s for you or not. This is an extraordinary resource. We’ve already mapped 50,000. We call them assets but places. We’ve already mapped 50,000 places on this map of the country. We’ll be at a 100,000 before the end of the year and people out there who know about a resource that we don’t, it’s great. They can connect and contact us. We will check it out. We’ll add it to the map. So it just keeps getting better and better. N: A moment ago when I was talking about possible distinctions between illegal drugs, alcohol and prescription drugs, there is a stigma associated with being called an addict or someone thinking that they may be addicted. Talk about overcoming the wall of stigma when it comes to seeking help for an addiction. J: Well, you’re right in that observation and part of it this is not remotely directed at you but part of it is even our language. The very fact that we call someone an addict is so tainted. When you hear that word about a person you probably think less of that person, whereas if you said a person who’s suffering from the illness of addiction you’d be like, “Wow. That’s terrible. They’re sick, right?” I mean there’s a lot of language stuff that matters here and it’s complicated but the whole issue of stigma, Neal, is so complicated. We’re treating people who suffer from addiction as criminals which we frankly have done for 4 years, put a stigma around it. If you don’t believe, if a person doesn’t believe that addiction is an illness then you probably think it’s a matter of weakness or moral failing and you think less of that person, right? So there are many aspects to stigma that we absolutely have got to overcome. We got to start facing this thing as the illness that it is because it’s eating us alive. N: Now, you are the CEO of Facing Addiction. Now, this in conjunction with the National Council on Alcoholism and Drug Dependence. Were you involved with the NCADD prior to spearheading this initiative, Facing Addiction? J: Great question. No. I was the co-founder and CEO of Facing Addiction as was a separate organization not to bore your listeners and NCADD a wonderful separate organization with a 74- year old history in America. Those two organizations have a similar mission, right? The mission is to address this addiction crisis and turned around. We decided we’d come together and create an overarching organization that’s bigger, more powerful, as it kind of boots on the ground. Because look, Neal, we’re up against this thing that is now the number one cause of death for people under 50 in America. That’s a big formidable problem. We decided we need a big formidable organization to try to go slay this dragon. N: Have you noticed in any of your travels talking with people, dealing with people who are dealing with addiction, are there any special challenges that say older people, younger people, men or women seem to face when they’re dealing with addiction? It seems with so many resources we should be able to tailor recovery efforts or is that something that’s a fantasy? J: Again, it’s a very informed question and I hate to tell you, it’s all of the above. Given a person’s life, phase life stage, there are certainly different manifestations. This opioid crisis is particularly horrific because it’s not the majority of cases that a person uses opioids once and dies but it can happen and it does happen to be quite blunt. Whereas in general people who suffer from alcoholism, let’s be honest, it’s usually a slower onset and it’s a longer process. So that takes you to a different place. Lots of times among the older generation, they’ve gotten a legitimate prescription for pain after surgery or something and they may not have done anything to abuse that prescription but after four or five days or two weeks, somebody that you couldn’t imagine is suddenly addicted. So it takes many different shapes and forms, Neal, but we’ve got to have solutions for everybody, for that one in three households in America that is suffering from this thing. N: Now, you mentioned the website a little early on in our conversation. Once again, tell our listeners where they can go online and learn more. J: Sure. The resource thing that we just talked about is simply facingaddiction.org/resources. You go online and it’s completely intuitive. It’s self-explanatory. It’s free. You can even set up your own account so when you go back, the places that you’ve identified and you kind of said that’s good for me, you can save it. You can save your favorites. The other thing though that I would say, Neal, with great humility is an organization like ours needs funding from the people, the average person out there can make an enormous difference just as they do with funding cancer and heart and diabetes and Alzheimer’s work. So people who would go to facingaddiction.org and please consider making a $10 a month contribution. I am telling you, I pledge to you, it will make a huge huge difference and you’d have my personal thanks. N: Thank you so much, James Hood, co-CEO of Facing Addiction. It’s been a pleasure. Thank you so much for joining us with this information today. J: Thank you for your time, Neal. Anytime. N: You’ve been listening to Health Professional Radio. I’m your host, Neal Howard. Transcripts and audio of the program are available at hpr.fm and healthprofessionalradio.com.au. You can subscribe to this podcast on iTunes, listen in and download at SoundCloud and visit our affiliates page at hpr.fm.